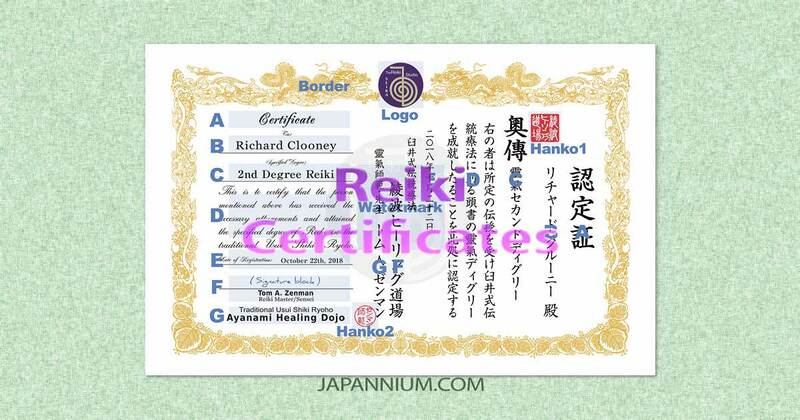 Reiki degree certificates design service. Fine quality printable PDF products. Authentic Japanese style. For masters and teachers of Reiki healing school and studio.